Our Canberra Executive Education Centre gives you access to a range of our QUT EX business courses and professional development opportunities in Australia’s capital city. 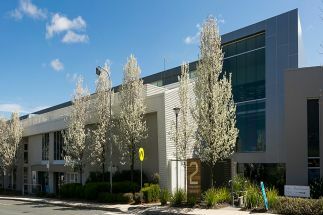 Situated in Deakin, our learning space accommodates up to 40 people, with additional boardroom and meeting room facilities. From our award-winning Executive MBA to one-day leadership development workshops, the courses we offer in Canberra empower you to improve organisational performance. Our QUT EX team in Canberra can partner with your organisation to build customised solutions for your business.